Federal Way, Wash. – The Pacific Northwest Golf Association (PNGA) and Washington State Golf Association (WSGA) have announced that Troy Andrew will take over as the new Executive Director of the two associations. Andrew will begin his new duties at the PNGA and WSGA effective immediately. Andrew replaces John Bodenhamer, who was the CEO and Executive Director of the two associations for 21 years before leaving last month to join the senior staff of the United States Golf Association as the Senior Managing Director of Rules, Competitions and Amateur Status. Andrew, 37, was originally hired in 1999 by the PNGA and WSGA and served as the Senior Director of Rules and Competition for seven years before becoming the Assistant Executive Director and Senior Director of Communications for the associations in 2007. In Andrew’s 12 years with the associations he has been involved with every aspect of their core services, which includes championships, Rules of Golf, Evans Scholarship Program, Pacific Northwest Golfer magazine, membership services, and the GHIN handicap software. Andrew has been a member of the International Association of Golf Administrators since 2000 and served on the USGA GHIN Tournament Pairings Program Steering Committee from 2004-2006. 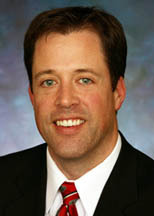 Andrew earned a Bachelor of Science in Public Relations and Marketing at Central Washington University in 1997. Prior to joining the PNGA and WSGA, he was the Assistant Tournament Director for the Pacific Northwest Section PGA. He and his wife Kelly have two young sons, Carson and Jack. Along with his duties at the PNGA and WSGA, Andrew will also serve as the CEO of The Home Course in DuPont, Wash., which is owned by the two associations. The PNGA was founded on February 4, 1899. It is a 501c3 charitable, international amateur golf association dedicated to preserving the true spirit of the game of golf and promoting activities beneficial to golfers in the Pacific Northwest region of North America. For more than 110 years, the Association has been a pioneer in developing competitions and services, and there are approximately 220,000 individuals at over 720 PNGA member golf clubs throughout the region. Visit www.thepnga.org for more information. The WSGA is a 501c4 non-profit, amateur golf association governed by men and women volunteer, amateur golfers. Founded in 1922, the WSGA has evolved into one of the largest amateur golf associations in the United States, providing a multitude of benefits and services to approximately 74,000 individual men, women, senior, and junior members at over 550 member golf clubs and 260 golf courses throughout the state of Washington and Northern Idaho. Visit www.thewsga.org for more information.